Kaleidoscope of Love by Priyanka Bhuyan is a love anthology. The USP of the book is that all stories deal with the various forces of love in different forms, in different circumstances. If you think that a book based on love goes like Mills and Boons, or is totally full of romance and tragedies of lovers, well then you need to rethink. Love is a versatile and omnipresent theme in this world; in fact the basis of every relation depends on aspects like love and respect and humbleness and so on. In this book, the author tried to seek all possible forms of love that exist between humans, be it a father’s love for daughter, a woman’s love for a child, love based on beauty, becoming lovelorn owing to hedonistic desires. As you read, you will get to know the points that we are trying to convey. The book is not a lengthy read, however intensity of every story is going to make you concerned towards the lead characters. Another great aspect of the book is that it is very high on credibility; the stories neither sounded Bollywood inspired nor overly stuffed. They sounded so surreal that you may fall in love with characters at times, and sometimes you brim up with sympathy for them. There are total ten stories and all depict different scenarios of love. What makes people to change in love, how some people handle the pain that emanate from relationship, does love stand the chance over physical appearance and social status – all these coveted themes have been captured beautifully with simple backdrops. If you seek clarity while being in love, well then this is the book for you. 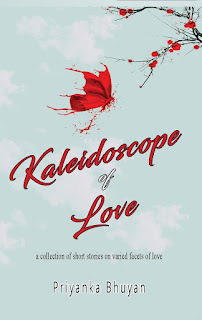 Well-written and well-edited, Priyanka is a promising writer with good sense of narration. Highly recommended to all sorts of readers.